The connection between poor sleep and screens. 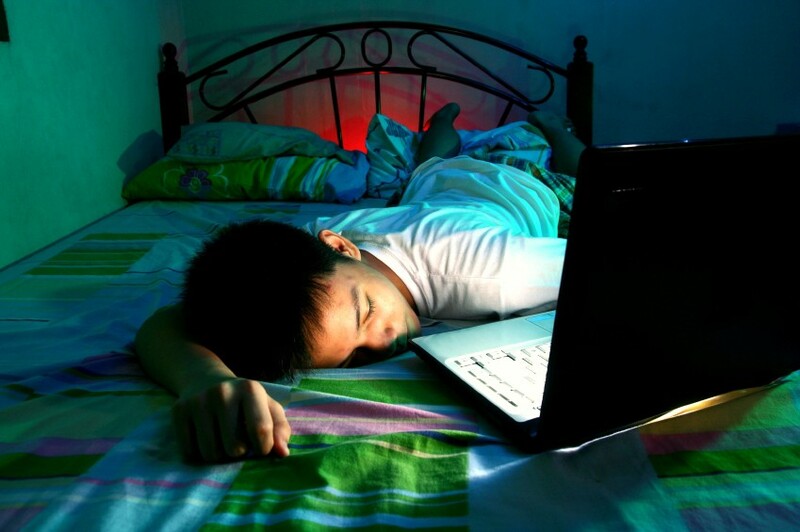 While the connection between poor sleep and bedroom TVs is well-established, the effect of small screens — smartphones, iPods, tablets, or other small-screen devices — on kids’ sleep hasn’t been studied until recently. A report released in January 2015 by the American Academy of Pediatrics suggests that they’re just as worrisome — but for different reasons than TVs. Staying up too late can make kids cranky — but there are real health risks, too. Obesity, poor school performance, even behavioral problems can stem from inadequate sleep. It’s not always possible to clear the bedroom of all screens — but instruct your kids to turn them off, download apps that disable the device at bedtime, and charge devices in your room at night to help your kids get the rest they need.